I have been busy sewing for the past few weeks; it is nice to re-introduce myself to my sewing machine! There is a 'baby boom' going on around here. My granddaughter, Brooklyn, is 3 months old and close friends have a new grandson. 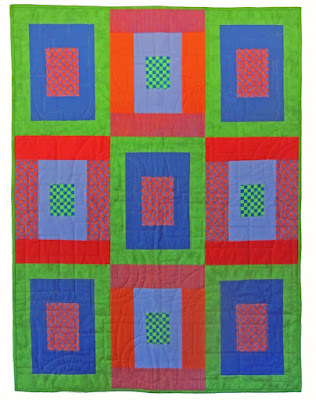 New babies mean .....baby quilts! This is the baby quilt I made for our friends' grandson. I had a set of bright-coloured checks and stripes Fat Quarters for a LONG time. I bet you have fabrics in your stash, just waiting for the perfect project. I knew I wanted to use a couple of them for a child's quilt and the timing couldn't be better! 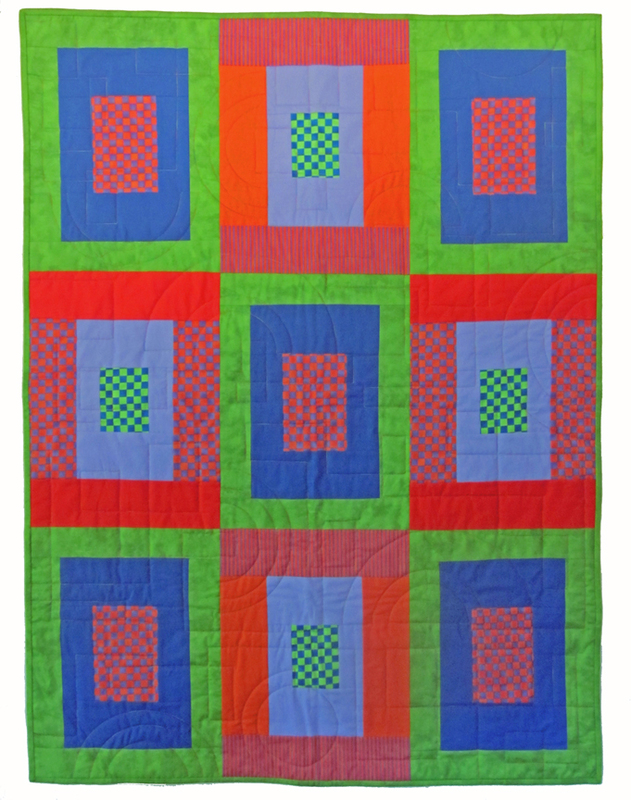 This quilt was so fast and fun to make. 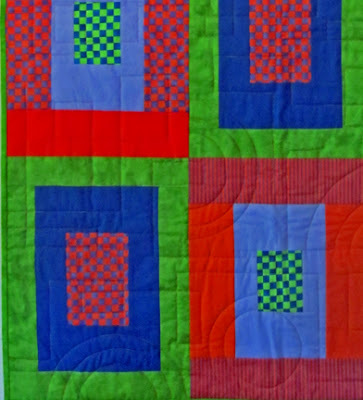 I quilted the quilt on my Handi Quilter Avante and used this quilt to learn about some of the features and ruler tools. I quilted half-circles and circles and a random box design to add texture to the quilt.